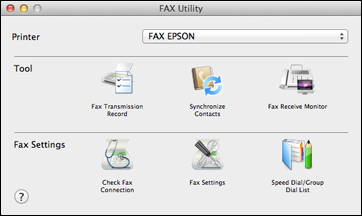 You can set up your fax header and select your fax settings using the FAX Utility for OS X. Note: For detailed information, select the FAX Utility ? icon.